Three consecutive years (2012, 2013 and 2014) of the lowest rainfall and snowpack totals in California have put the state in the worst drought conditions since weather data have been measured. State reservoirs are near record lows and dropping, local groundwater basins and ecosystems are stressed, vast tracks of farmland lie fallow and wildfire risk is extremely high. In January 2014, Governor Edmund Brown declared a drought emergency and called on Californians to reduce their water consumption by 20 percent. In April 2014, Governor Brown issued an executive order to strengthen the state’s ability to manage water and habitat effectively in drought conditions and called again on all Californians to redouble their efforts to conserve water. In response to the ongoing severe drought, the State Water Resources Control Board approved emergency water conservation regulations in July 2014 for all Californians. The regulations are intended to reduce outdoor urban water use. Hidden underground, groundwater typically accounts for about 35 percent of the water used by California’s farms and cities. In some regions, like the San Gorgonio Pass, communities rely almost entirely on groundwater for their drinking water. Imported water provides supplemental supply to the region. In dry years, groundwater becomes even more important, as pumping increases to make up for the lack of rain. The challenge is to maintain hydrologic balance during times of drought to minimize depletion of aquifers. The Beaumont Basin, located in the San Gorgonio Pass and overlies the cities of Beaumont, Cherry Valley, Calimesa and parts of Banning, is an adjudicated basin that is operated under the provisions of a court judgement. This judgement determines the “safe yield” of the basin, i.e., how much water can be extracted from the ground by water providers in a given year. In September 2014, Governor Brown signed into law the Sustainable Groundwater Management Act of 2014, historic legislation designed to strengthen local control and management of groundwater basins throughout California. The legislation lays out a process and timeline and provides tools, authorities and deadlines to take necessary action to achieve the goals set forth in the legislation. Built more than 50 years ago, the State Water Project was a marvel for its time. Today, critical infrastructure investments must be made to ensure a continued reliable water supply. The heart of the State Water Project, the Sacramento-San Joaquin Delta, is no longer a suitable pathway for the state’s water supplies. Struggling fish populations, environmental issues and ongoing regulatory hurdles make the Delta incompatible with a reliable water delivery system. The Bay Delta Conservation Plan (BDCP) is the path towards a secure water supply for California and a healthy Delta ecosystem. This comprehensive effort is an innovative, science-based solution to California’s water supply challenges and the Delta’s environmental struggles. Just as our predecessors advanced crucial infrastructure projects to prepare California for the last 50 years, our members are working with state and federal agencies, environmental organizations and other water agencies to secure water supplies for the decades to come. The Bay Delta Conservation Plan seeks to identify an alternate way of routing freshwater supplies from the Sacramento River to the state and federal water facilities—the pumps that send water to water agencies throughout California. Rather than using Delta as the primary conduit for water supplies, the Bay Delta Conservation Plan is analyzing options to move water through a tunnel underneath the Delta, or a canal around the Delta. The Bay Delta Conservation Plan also incorporates extensive habitat restoration actions. By removing the state’s water operations from the delicate ecosystem, and taking steps to restore habitat, the Bay Delta Conservation Plan will create a healthy, sustainable Delta environment and protect water supplies from earthquakes and other natural disasters. State and federal water contractors are currently funding the plan’s development, and have committed to funding the construction of a new canal or tunnel. California enjoys some of the highest water quality in the world. Local water agencies are responsible for meeting many stringent federal and state water quality regulations to ensure the water they deliver is clean and safe. The Safe Drinking Water Act (SDWA) is the main federal law that ensures the quality of Americans’ drinking water. Under this law, the Environmental Protection Agency (EPA) sets standards for drinking water quality and oversees the states, localities, and water suppliers who implement those standards. SDWA was originally passed by Congress in 1974 to protect public health by regulating the nation’s public drinking water supply. The law was amended in 1986 and 1996 and requires many actions to protect drinking water and its sources: rivers, lakes, reservoirs, springs, and ground water wells. In California, the drinking water program is administered by the Division of Drinking Water (DDW) of the California State Water Resources Control Board. Groundwater The region is fortunate that the overall quality of the drinking water supply is quite high. There is no known historical industrial or mining activity in the region that has generated harmful plumes of pollutants. However, rising levels of salinity are of particular concern. The main cause of this condition is the release of treated waste water, which contains certain salts, to the environment. 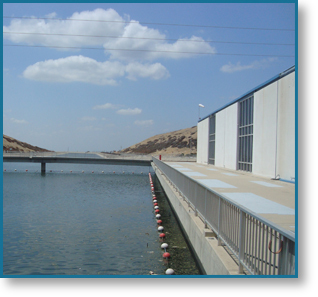 The Santa Ana Regional Water Quality Control Board has set a maximum benefit goal for salinity of 330 parts per million in the region that includes the Beaumont Basin. The current salinity concentration in the Beaumont Basin is approximately 280 parts per million. A Basin Plan requires local entities to begin planning desalter facilities when the salinity increases to 330 parts per million. Another constituent in the local water supply that is being closely monitored is nitrate, a naturally occurring form of nitrogen found in soil. Common sources of nitrate include fertilizers, manure, animal feedlots, municipal wastewater and septic systems. Nitrates form when microorganisms break down fertilizers, decaying plants, or other organic residues. High levels of nitrate found in drinking water supplies can cause “blue baby syndrome” or methemoglobinemia. There have been some isolated incidents of increased levels of nitrate at some wells in the region for short periods of time, particularly after significant storm events. Water providers do not serve drinking water that exceeds standards set by the Division of Drinking Water (DDW) of the California State Water Resources Control Board California Department of Public Health. Various treatment methods used to deal with problem constituents in water include dilution (blending of water supplies to meet the standards) or wellhead treatment facilities to remove the contaminant. Effective July 1, 2014, Hexavalent Chromium (Chromium 6) was added to the list of regulated contaminants in California drinking water sources. As a result of this action by the California Department of Public Health, the Maximum Contaminant Level (MCL) for Chromium 6 was established at 10 parts per billion. In order to determine compliance with the new regulation, public water systems were mandated to conduct an initial round of monitoring of all active and stand-by sources. Samples from several wells in the region have tested over the MCL. Retail agencies are evaluating options to either bring the sources into compliance. Sources of Chromium 6 in drinking water originate from discharges from steel and chrome plating or from erosion of natural deposits. The federal and state approved technologies for removing total chromium from drinking water include coagulation/filtration, anion exchange, reverse osmosis, and lime softening. Because of research completed over the past decade by multiple water agencies and the state of California, three chromium-6 technologies have emerged as leading candidates with respect to feasibility and cost. Those are weak base anion exchange (WBA), strong base anion exchange (SBA), and reduction with ferrous iron/coagulation/filtration (RCF). Water from the California Aqueduct is delivered to our region at the Devil Canyon hydroelectric facility in San Bernardino where is further conveyed through the East Branch Extension facilities to various delivery points. 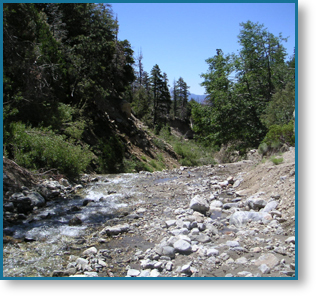 Water quality testing is routinely performed at the Devil Canyon location. Six constituents found in this water supply include: total dissolved solids, chloride, nitrate, sodium, sulfate and turbidity. Salinity is higher in dry years and lower in wet years. A new class of chemical constituents, referred to as “emerging contaminants,” are being detected in drinking water supplies at relatively small levels. They are primarily pharmaceuticals and personal care products that are excreted through human or animal bodies or are flushed and end up in sewage or septic flows. The Santa Ana Regional Water Quality Control Board requires dischargers (sewage treatment facility operators) monitor for these constituents on an annual basis. There is no evidence that these constituents are harmful to humans in their current concentrations in the environment, and there have been no creation of water quality standards for these constituents. Water agencies in the Santa Ana River Watershed region are developing a data base to monitor the number and concentrations of these emerging contaminants.